According to the Daily Caller's Tucker Carlson, people that work for MSNBC hate Keith Olbermann. "I'm not saying every person at MSNBC despises him but I would say he's the most disliked person in the building by a factor of 10," Carlson told Mediaite's Steve Krakauer. 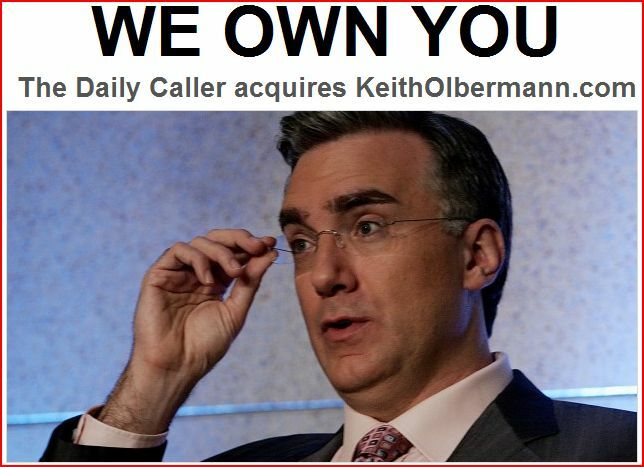 As NewsBusters reported Thursday, the Daily Caller recently purchased KeithOlbermann.com. He's despised at MSNBC...I'm not saying every person at MSNBC despises him but I would say he's the most disliked person in the building by a factor of 10, and I would dare anybody who's worked there to look me right in the eye and deny that...I don't have any malice toward Olbermann. I feel sorry for him. "Some might step back and allow Mr. Olbermann to drain his bladder on the first amendment - indeed, on the Bill of Rights itself," said Carlson. "Not us. No, by God, not us." To really rub Olbermann's face in it, Carlson is now using the e-mail address keith@keitholbermann.com.